There is a journalistic objectivity to Quan Barry’s new collection of poems, Water Puppets. The poems linger on scenes of profound violence and inhumanity, reporting heavy truths of war, massacre, and disaster. These scenes evoke a multitude of televised and printed images that remain in many readers’ memories from recent decades. Fortunately, the inherent madness and violence of such images are balanced by the pensiveness of Barry’s poems as well as her utter care with her art. The vocabulary she employs throughout the book is stark and stunning, a victory against these brutal themes. There can be no denial: the winner of the 2010 Donald Hall Prize in Poetry is a demanding, worthwhile read. Barry’s poems are a passport to the theater of savagery. This book is global in scale, examining human fragility in each of the hemispheres. However, Barry, who was born in Vietnam but raised in America, provides what is definitely a Western point of view. From her perspective, violence is a shocking misfortune that remains foreign, beyond her personal borders. The voice of the poems is often removed from the action, physically unharmed but emotionally damaged and ethically rocked. Images from theater—specifically the titular Vietnamese water puppets—subtly frame the book. Barry describes the lacquered and painted wooden water puppets as an example of an art form developed from disaster: a millennium ago, farmers invented the puppets when their land flooded. That farmland served as setting and stage as well as an excuse to perform rather than work. Of course the puppets and puppeteers were threatened by the violence of the Vietnam War. Barry wants us to remember “that the United States considered using nuclear weapons against these people” (“poem,” 59). The idea of the water puppets floats in the background of the book, pointing to the struggle between beauty and uncontrollable destruction. The long poem “meditations,” perhaps the most poignant in the collection, is an eloquent consideration of guilt and our complicity in the destruction of beauty. This poem wheels all around the world, but one of its most devastating moments is when the narrator speaks of Afghan wedding parties that were accidentally bombed by US-led coalition forces. “I am always relieved / when I hear the bride and groom are among the dead,” she says (35), but the fact that there will be no widow or widower is sparse comfort. Or perhaps she’s trying to find some lingering fragment of beauty—perhaps the sentiment that love somehow outlasts death. climbing like a question. Má? Who would I be if I had stayed? Reflective moments such as this one are crucial to the book; they absorb the gut punches of harsher truths. They help alleviate the tension and anguish that Barry often creates. For example, the first poem of the book, “lion,” effectively dehumanizes readers by anthropomorphizing a captive lion. The lion is brutalized as prisoners of war are humiliated and abused. Barry forces us to relate to the lion’s experience when she states, “I am the lion and the lion is me” (2). Thus this poem conditions the readers for the further atrocities that course through the book. We never really lose this feeling of being a captive animal, vulnerable and lacking any control. brims with poppies, the red stalks wind-whipped like slashed throats. Here, the sky is turbulent and the wind viciously cuts through the poppies. This depiction of the poppy fields of Afghanistan evokes John McCrae’s famous World War I poem “In Flanders Fields” (1915), a valediction for dead comrades that opens with a line about the gentle wind blowing through a poppy field. Another natural setting, this time a newly thawed lake in New Hampshire, opens “Sunday Essay,” a poem about encounters with violence to the body during childhood. At first the beauty of the scene is marred by a minor boating accident that causes a puncture in the narrator’s palm. Then, as the narrator waits in the ER to receive stitches, she learns that the screaming she hears comes from a young teammate on her soccer team “who on the way home / in the disfiguring rain, a friend’s father behind the wheel, went rocketing / through the windshield” (29). The boat had been piloted by the narrator’s father, the car was driven by a friend’s father. Here adults can do nothing to prevent injuries that harm their children. They have failed to protect the children—episodes of violence prove unavoidable. and strewn on the floes, I am my own salvation. The discovery toward which Barry points her readers is that tragedy is a defining part of human experience. It is in the Antarctic, the farthest place from civilization, that we finally find a sense of triumph and can celebrate survival. 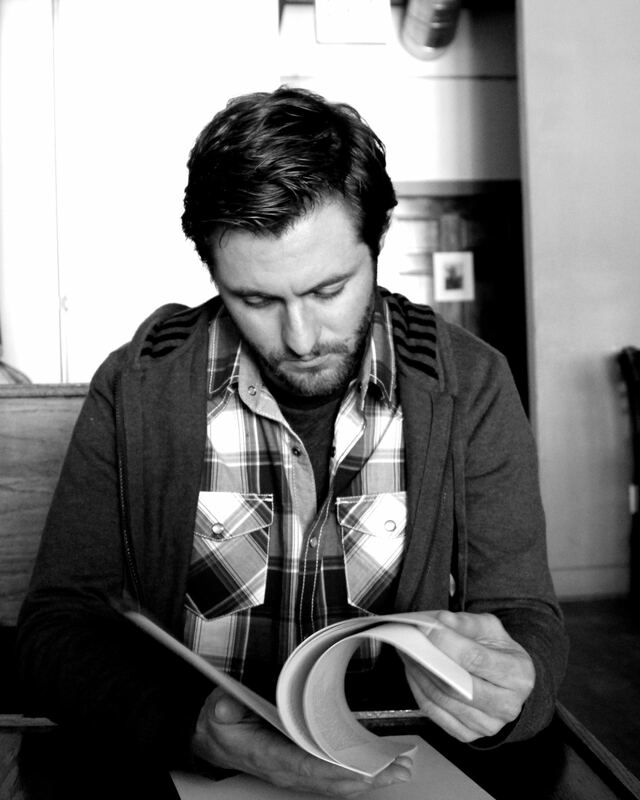 Dane Hamann holds his MFA in Creative Writing from Northwestern University. He began in publishing through an internship for a Minneapolis literary book publisher and currently works as a copy editor and indexer for a textbook publisher in the southwest suburbs of Chicago.